Girl Kuripot Girl Kuripot: @PowerPlantMall, Win Tickets to Maldives, Bali or Hong Kong! @PowerPlantMall, Win Tickets to Maldives, Bali or Hong Kong! This is a chance to win tickets to Maldives, Bali or Hong Kong! Every P2000 single receipt purchase at Power Plant Mall or P3000 at the Marketplace by Rustan's entitles you to a raffle stub. 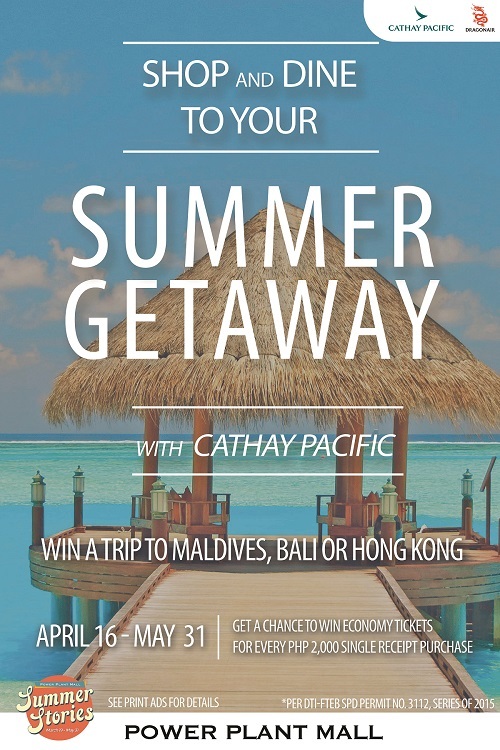 Click here for more info on the Power Plant Mall Cathay Pacific Summer Getaway Promo.